Practices will predominantly take place at Glenmore Christian Academy, Trinity Christian School, other south based public schools, and Ambrose University. 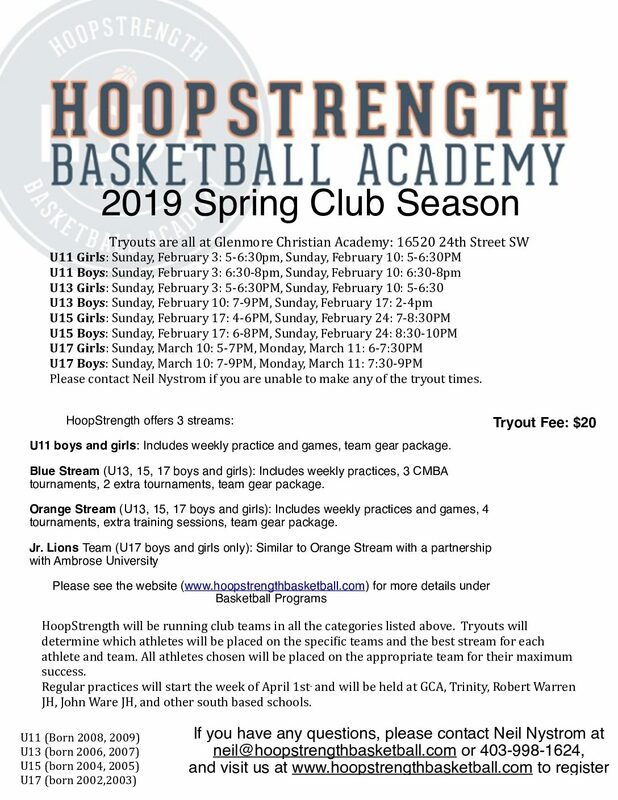 HoopStrength offers an elite club program in Calgary, where every athlete is encouraged to excel. Opportunities are provided in practices, training, games and tournaments for athletes to work hard and bring their game to the next level. 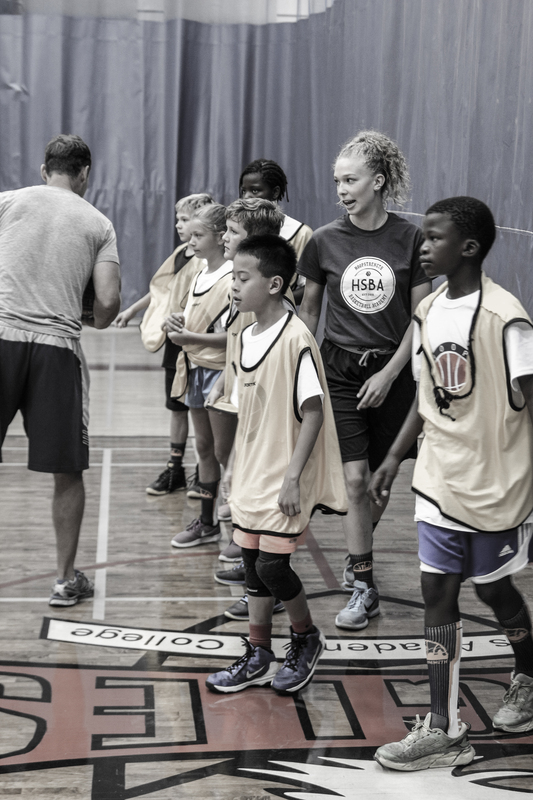 Our desire at HoopStrength is for every member to have a positive, growing experience that increases the joy in playing the game of basketball. We promote fair play and give our coaches the freedom to make substitutions that are the best for each game, and know that athletes need to play in game situations in order to improve. Join us for our club programs this spring running from March – beginning of July! Tryouts start in February, please refer to the flyer for specific details this year. To register for tryouts, please follow the link and sign up today! I wanted to let you know how much our son enjoyed playing with Hoopstrength this season. The approach, the support, the positive coaching, the mentoring really helped him improve his skills, game and confidence. All of us think your program is outstanding! Our son was on the Spring U17 boys HoopStrength Basketball Team. It was a great experience on so many levels. Neil and Grant are fantastic coaches who were able to help the players develop both individually and as a team. Because they were so positive and encouraging, the boys would push themselves to work hard and to try new things. There was a great balance between skill development, challenging game situations, team building and fun! The improvement we saw in the level of play was amazing. Our son has played basketball for 10 years on community teams, club teams, and school teams (Junior and Senior High), and feels that Neil is the best coach he has ever played for. As a result of this Spring season, he has a renewed passion for the game of basketball. We wholeheartedly endorse Neil and HoopStrength to future players (and their parents). Our son started the spring league coming off a very disappointing school season. He had lost confidence in his abilities and quite frankly seem to be losing the love of the game. Having Neil and Grant as coaches that help to encourage him and even helped him to push himself beyond what he was use to, was what we were hoping the league would bring. He is now looking forward to the school season and showing what he can offer. He came away with so much more that basketball.